Colorado State Police called off a chase after an older model Mustang drove 150 mph and they were unable to catch up. It happened on Interstate 70, west of Glenwood Springs. It is the scenario that every leadfoot dreams of but please don’t try it, it usually ends badly for the driver. Colorado State Police were chasing an older model Ford Mustang at speeds of 150 mph, on March 30th. The CSP called off the pursuit because the car was driving more than twice the speed limit and police considered the pursuit dangerous. It could have been a Mustang GT like this one featured in a Mecum auction, or even a Shelby GT500. Police can’t say because they couldn’t get close enough to tell, much less read the license plate. It happened in the early morning hours, on Interstate 70, west of Glenwood Springs. Anyone who has driven through the area might remember that the Glenwood Canyon area contains sharps curves as the road was literally carved out of the mountains along the Colorado River. CSP troopers saw what they describe as an older model, dark colored Mustang driving at a high rate of speed, estimated about 140 mph. 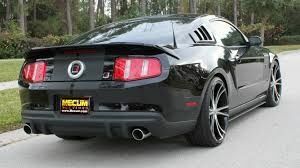 Instead of pulling over when police activated their lights and sirens, the Mustang reportedly accelerated to 150 mph. At this point, CSP isn’t saying if there might be video along the interstate that could identify the vehicle or its driver. Trooper Cooper elaborated on the safety concerns. “It’s extremely reckless, especially with people who haven’t been trained to drive at those speeds,” Cooper said. “I’ve seen a deer total a car before. Brakes get hot and tires can suddenly blow out at high speeds.” The Trooper says calling off the chase in this circumstance may have saved the life of the driver. More importantly, it may have saved the life of an innocent driver. As a reporter, we have all covered stories of innocent people killed after being hit by a fleeing driver. I’ve driven those curves west of Glenwood Springs and it would have been tragic if the high-horse-powered Mustang had hit an oncoming driver. Again, don’t try it. If the police can’t catch you, they often radio ahead and have other officers put out stop sticks to flatten your tires. It isn’t worth the ticket or being badly injured. THIS is my new hero! Whoever you are, I'm going to drink a beer in your honor. Dangerous, crazy, even stupid but every boy's dream. My hero. Ford Rolls Out a Sleeker, Sportier Redesigned 2020 Escape. Ford Introduces Black Appearance Package For New 2019 Ranger - So Why Is It White?